Have you played Spark Arcade yet? 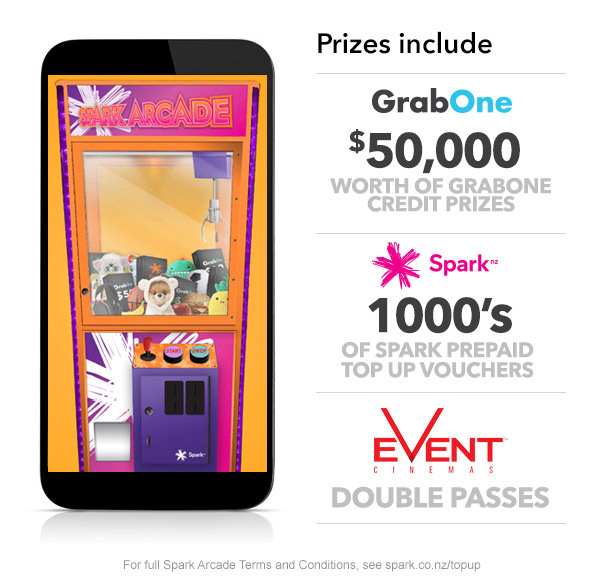 Every time you top up your Spark Prepaid by $20 or more, or renew or purchase a $19+ prepaid value pack, you’ll get a code to play for one of thousands of prizes in the SPARK ARCADE – including GrabOne credit! I love the comps & top up & win stuff. Thou I think that what u win should be txted & activated soon as. It shouldn’t matter about the top up amount thou.